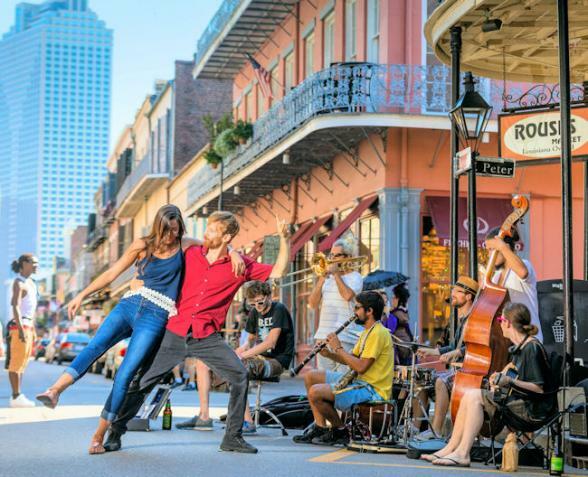 Founded in 1718 New Orleans is simply America’s most sensual city and a perfect short break destination. Steeped in a history of influences from all over the globe, it’s a brilliant mosaic of culture, food, and of course, music. 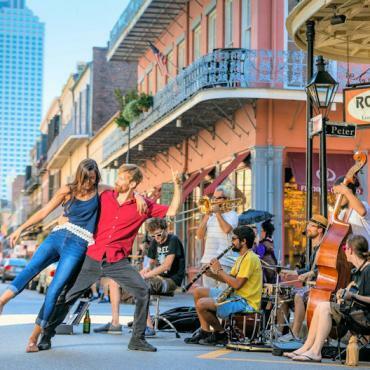 Check out the intriguing French Quarter with its colourful Spanish architecture, delve into the lively Jazz clubs on Bourbon Street or head to Jackson Square to munch on mouth-watering beignets as you watch the talented street performers. On your New Orleans short break you'll have time to discover the many incredibly fascinating museums that this city has to offer, such as the Voodoo Museum. This black art was created by slaves as a weapon to defend themselves and take revenge against the viciousness of their ‘masters'. 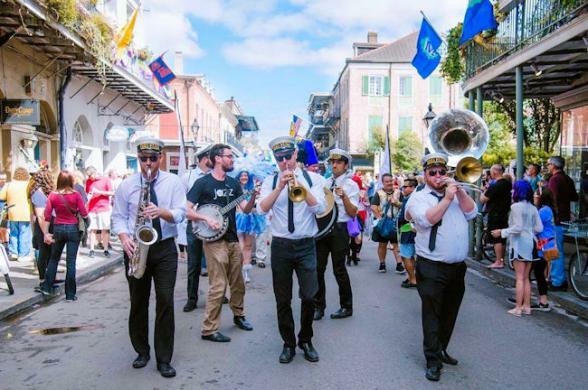 On your holiday to New Orleans you’ll find the roots of Jazz and a blossoming culture that is like nowhere else on Earth. 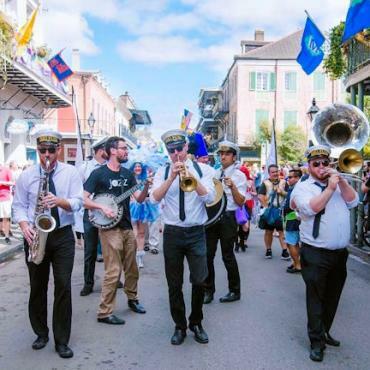 So, come taste the spicy gumbo, come sip the mint juleps, come stroll the cobbled streets and more importantly, come and immerse yourself in a passionate, intoxicating city that will leave you gasping for more. 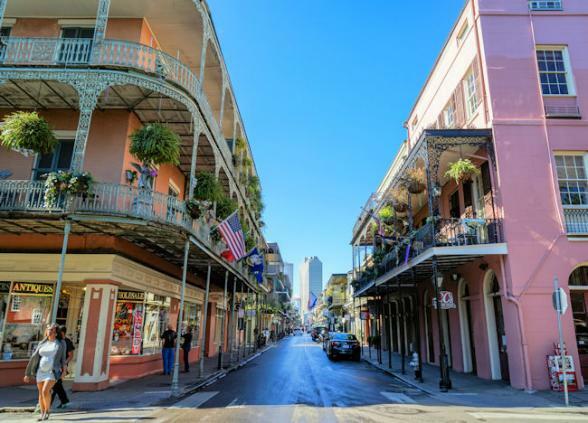 Arrive in The Big Easy early evening and check into your hotel in the historic French Quarter of the city. On your first evening in the city, unpack, relax and perhaps head to Jackson Square and Cafe Du Monde. Here you can watch the world go by as you sample a New Orleans favourite, beignets, a sugary deep fried calorific treat. Pop into one of the lively bars in the French Quarter for a nightcap before heading home. We dare you to sample the local tipple -The Hurricane, be warned these cocktails do pack a punch. On your first full day of your New Orleans short break we've included a walking tour of the French Quarter. Let your own local expert unravel the mysteries of one of America's oldest and most unique living neighbourhoods on this leisurely two-hour stroll through the hidden nooks and crannies of New Orleans. You'll find your time in New Orleans isn't kept in hours or days, but in meals. Beignets for breakfast, shrimp po-boys and muffulettas for lunch. Dining is a passionate art in the city. 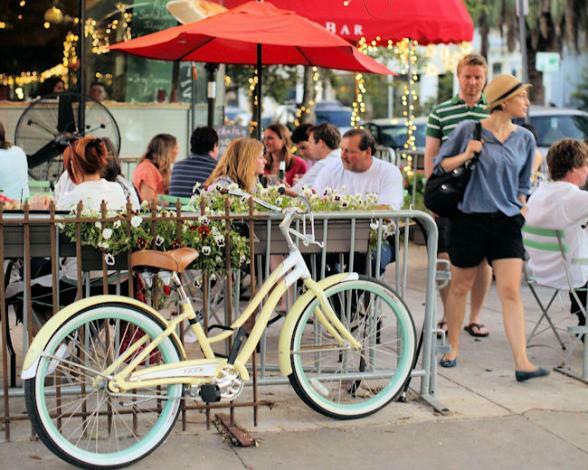 It's no wonder it's often named as One of America's Top 5 Restaurant Cities. 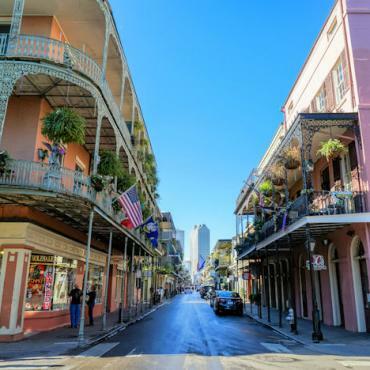 Enjoy a long, lazy lunch along Bourbon Street before heading off to explore more of this amazing city. Music is New Orleans' loudest, proudest export and it's inexhaustible. 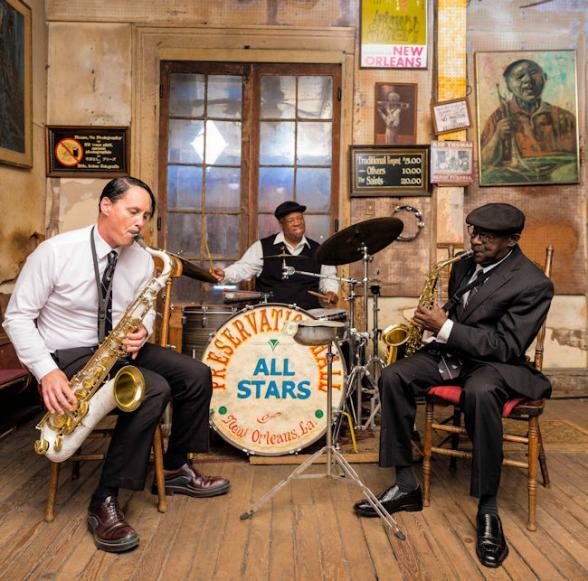 This city gave birth to legends like Earl King, Professor Longhair and Fats Domino who together defined the New Orleans sound it introduced to the world. On a Sunday stroll through the streets and hear the voices of the Gospel choirs rising from the churches. Indulge in 17th Century Cajun music and lively Zydeco rhythms as you explore this fascinating destination. Today, we've included a Jazz lunch on the Natchez Steamboat. Here you can sit back, relax and enjoy life on the Mississippi as you cruise gracefully along 'Ol' Man River'. In the evening, why not head for Preservation Hall? On any given night, this historic hall is filled to capacity with people eager to hear New Orleans jazz played by veteran musicians in their 70's and 80's. You'll have to queue for tickets, but believe us, it's worth it. 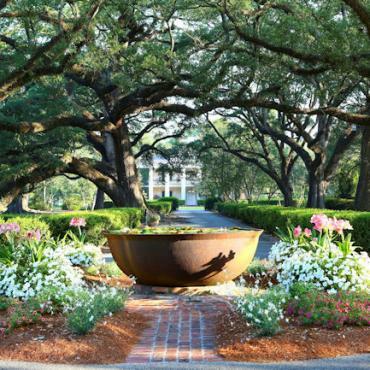 Experience a bygone era and the glory of the Old South on a afternoon tour to Oak Alley Plantation, one of the most photographed plantation homes in America. Located on the Mississippi River between the historic Louisiana cities of New Orleans and Baton Rouge, Oak Alley Plantation has been called the Grande Dame of the Great River Road. As you explore this home your knowledgeable guide will enlighten you with fascinating tales of the home and its history. 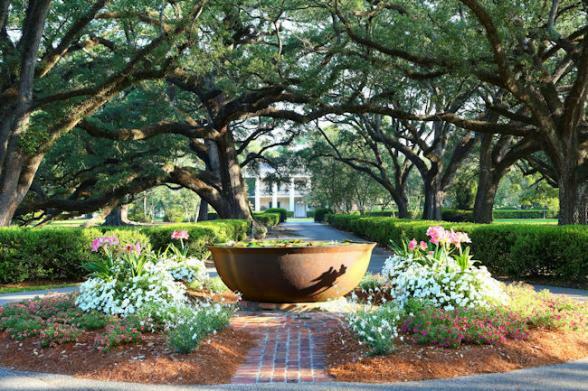 This is one of the South's most beautiful settings and you're sure to be impressed by the quarter-mile canopy of giant live oak trees, believed to be nearly 300 years old, which form an avenue leading to the classic Greek-revival style antebellum home. 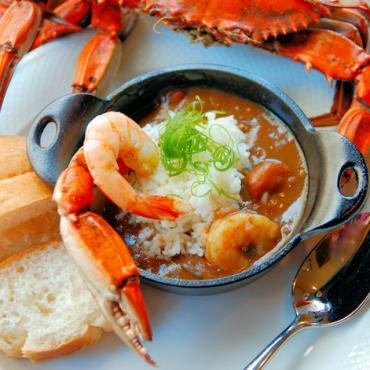 In the evening return to the French Quarter to enjoy a Creole or Cajun meal in a romantic setting. Bon Voyage would be delighted to suggest and pre-book dinner reservations for you. Day 5 : New Orleans Food, Glorious Food. In Louisiana, food is always a subject of conversation, any time of the day. It's serious stuff. You'll find an endless choice of places to eat on your New Orleans short break, we thought it would be fun to include a 2 hour Creole cookery lesson in the famous New Orleans School of Cookery. Fun, Food and Folklore is the order of the day on this informal cookery lesson which takes place in a ex-molasses warehouse dating back to 1890. 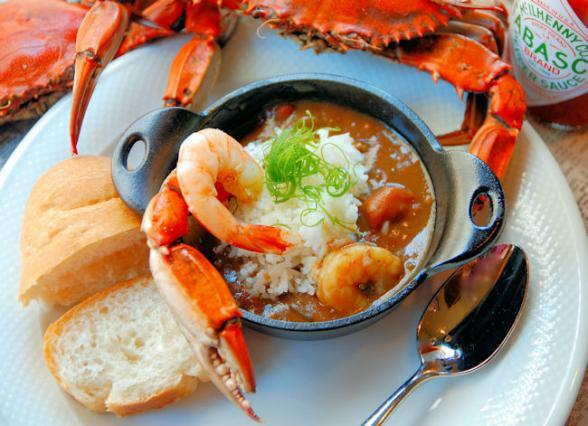 Let the local Creole/Cajun experts teach you New Orleans specialities such as Gumbo, Jambalaya and Pralines, and season them with history, trivia and tall tales. If a cookery lesson doesn't tickle your fancy, why not visit Mardi Gras world? Here most of the floats that journey down New Orleans' streets during the Carnival season are designed and built. You'll see the traditions and history surrounding the colourful Mardi Gras parades, balls and music. It's time to say goodbye to the Big Easy, your early evening flight home will allow you time for a spot of retail therapy before you board the 'plane. 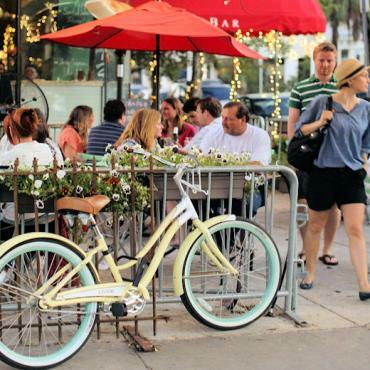 Check out the high-end shopping in Royal Street, or stroll along six miles of boutiques in Magazine Street. Head for the lively Riverwalk and enjoy a spot of shopping and lunch overlooking the Mississippi. You'll be spoilt for choice and remember that New Orleans offers you a TAX FREE shopping experience. This New Orleans short break is a great addition to a longer itinerary or perhaps you may want to extend this one. Maybe you want to explore more of America's music capitals and head to Nashville and Memphis. Call Bon Voyage on 0800 316 3012 to discuss your perfect New Orleans Short Break.